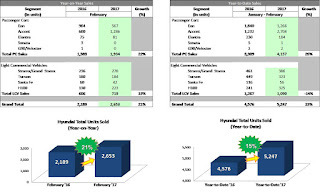 Hyundai Asia Resources, Inc. (HARI), the official distributor of Hyundai vehicles in the Philippines, continues its strong 2017 showing as it grew by 21 percent for the month February, or a total of 2,653 units sold, as compared to the same period of the previous year. This pushed accumulated January to February sales to 5,247, up by 15 percent as compared to 2016. The strong demand for automotive vehicles in the country played as an anchor to HARI’s positive sales performance. 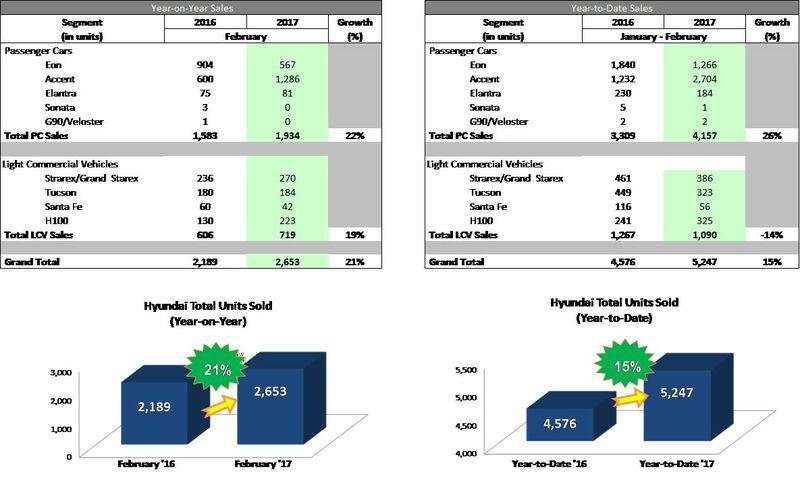 The February results show that the Passenger Car segment remains as the driver for growth with a 22% Year-on-Year increase. This is specifically credited to the Accent, the brand’s sub-compact passenger car, as it proved to be HARI’s bestselling nameplate with a 114 percent increase compared to its February 2016 sales. The commercial vehicle segment was not far from the spotlight as it increased by 19 percent as compared to the same month of the previous year.